As recognized leaders in the dental industry, our team of doctors bring ingenuity, expertise and passion to the oral healthcare profession. They are approved specialists by the American Dental Association (ADA) and provide a full range of surgical procedures, including the All-On-4®/Teeth In A Day treatment concept, dental implant placement, removal of wisdom teeth, bone augmentation, and many other advanced surgical procedures. The doctors are up to date on any new and upcoming techniques. They have immersed themselves in the dental professional community through educating colleagues and serving in prominent positions in multiple professional associations, such as the California Association of Oral and Maxillofacial Surgeons. We are located in Southern California and are one of the most respected and cutting-edge practices in the region. Our talented team of surgeons has many years of experience with a wide range of surgical dental implant procedures as well as complex implant reconstruction procedures. We have dedicated Implant Coordinators – something many area practices lack – that provide our Pasadena, La Cañada and Glendale patients with an uninterrupted procedure and recovery period from start to finish. We are members of the Academy of Osseointegration where they help to research new types of procedures for dental implants. We are also on the Advisory Board of the Institute for Dental Implant Awareness which is a non-profit organization dedicated to raising awareness and educating patients. We offer our Pasadena, La Cañada and Glendale patients 3 convenient locations throughout Southern California including Glendale, La Canada, and Pasadena. Each is equipped with advanced, cutting-edge technology including digital radiography. We also offer 3D Cone Beam imaging which provides our surgeons with incredibly detailed three-dimensional views of teeth, bone, nerves, and tissues that can be digitally examined with cross-sectional views. Our doctors use this technology extensively to examine every angle of our patients’ dental anatomy that isn’t readily available with conventional imaging methods like x-rays. Don’t trust your teeth to just anyone. 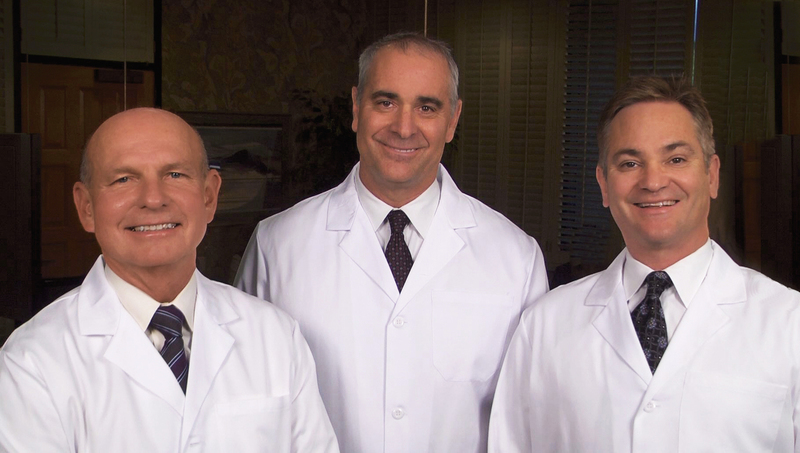 Foothill All-On-4® experts Lytle, Tate & Stamper are committed to giving you the best and most advanced care available, and that’s something to smile about! Contact any of our offices in Pasadena, La Cañada and Glendale today for a consultation.